Genesis fans are in for a great night as top tribute band Mama make their Second appearance at the Romiley Forum on February 16th 2019. 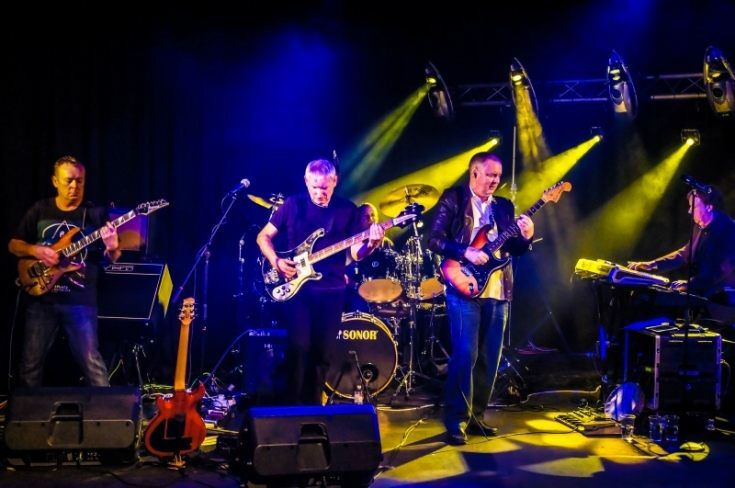 Describing themselves as an ‘all era’ tribute, Mama will take you on a journey from Genesis’ early Peter Gabriel years, through the Phil Collins’ era of the 70's and 80's - right up to their final studio album, ‘We Can’t Dance’. Lead singer, John Wilkinson, delivers the Phil Collins vocal sound with power, passion and precision. On keyboards, the band benefits from the technical wizardry of John Comish. Stunning guitars are provided by Eddie Devlin, backed up with the rock solid technical playing of Tim Rothwell on drums and Dave Jones on bass, 12 string and bass pedals. Formed in 2011 the band has already established itself as one of the top Genesis tribute bands in the UK. From their debut show at The Pacific Road Arts Centre in Birkenhead in March 2012 the band has captivated their audiences playing tribute to the music of Genesis to the highest of standards. Mama will perform songs from Genesis’ 40 year history including the well known Mama, Turn it on Again, Invisible Touch and No Son of Mine along with album tracks such as In the Cage, Los Endos and Ripples.